The Bradford Sanitorium was built in the late 1920's and burned down in 1935. I'm not sure if there is anything to haunt now if it burned down. Hm. Some rumors say that it was a boarding house and not a sanitorium. Frankly, I'm too young to remember. Bear's Mill is said to have a ghost of an old farmer who might be Major George Adams who was awarded the land in 1832 by President Monroe or maybe Gabriel Baer who built the Mill in 1849. 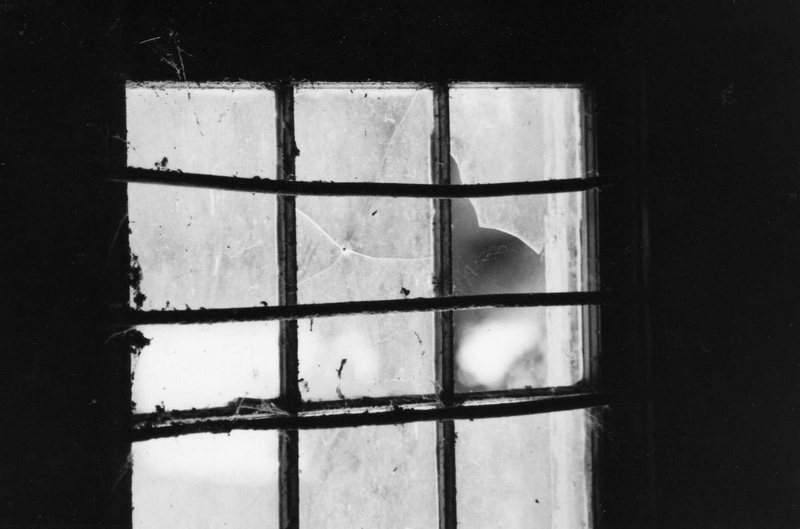 Whoever it is, his footsteps creak on the old wooden floorboards on the upper levels. Bet he's tired. Evidently Memorial Hall is haunted by a ghost. An old custodian fell to his death while changing a light bulb in the ceiling of the main theatre. I can vouch that the ceiling is quite high. I just looked at it in July. Don't know when it happened. Maybe he was trying to blow out a lamp. On West Water Street a boulder is said to have a Native American girl buried beneath it. She supposedly had been assaulted by soldiers from Ft. Greenville and has lingered around since. It is also rumored that a woman visits another home on Water Street. Water Street is a busy area. It seems that on McMecham Road, the homes are built over old burial grounds. I don't think I need to say more. We'll never know if the claim is true that Franklin Monroe High School (torn down this year) had some strange occurrences. A mysterious piano player. Footsteps in the band room and on stage. I was in a couple of plays on that stage. Never heard a thing....not even applause. 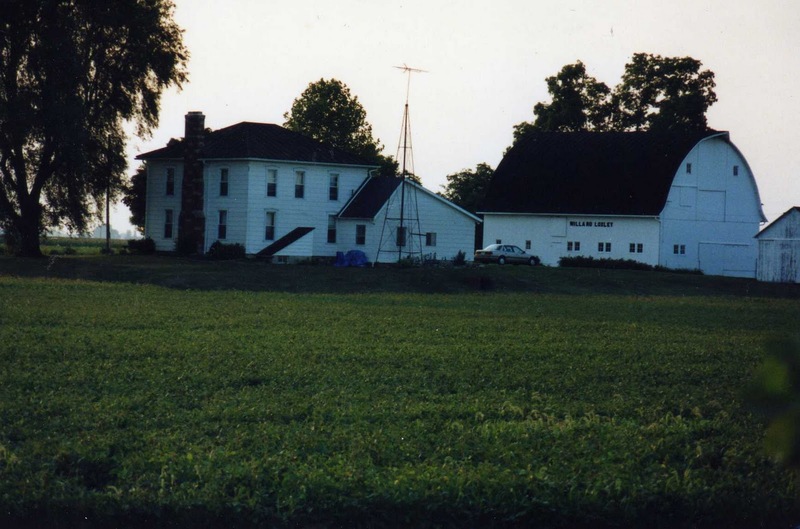 One site has the Jamison Farm haunted by Aunt Ella. Evidently, she rocks in her chair. The shutters on the house seem to open and close randomly. Who finds out this stuff anyway?! 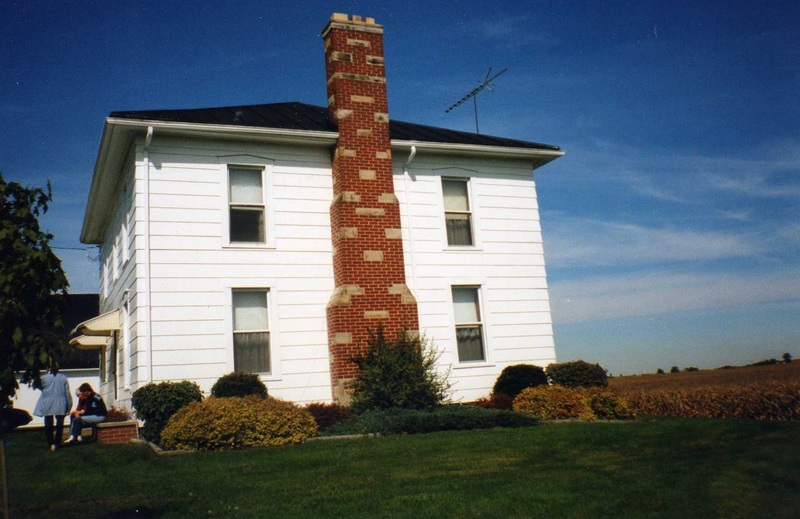 It is all fascinating this idea that ghosts are still roaming around Darke County. It seems to me that no one ever sees ghosts in miniskirts or love beads. Maybe somewhere along the way it got easier to move on. Fall. More than colorful leaves and changing weather. Reruns. News. Entertainment shows telling all. Boredom. Millie, the Airedale, was asleep on her bed. I sat at my son's house scanning through the several hundred TV channels. Nothing.....not until I found the cowboy station. Nothing but cowboys. When I was little girl and TV came to live at our house, I was glued to westerns. My first crush was on Roy Rogers. I truly don't think there was a cowboy show that I missed. I fell in love with the animals Rin Tin Tin, Lassie, Fury. I didn't seem to notice the shooting and violence. I was captured by another day and age. One that really wasn't so far from the childhood of my grandparents. Last night a show I'd forgotten greeted me when I landed on the cowboy channel. Paladin. I was mesmerized by the show. The black and white seemed more vivid than what we watch today. The starkness of the scenes drove home the starkness of those times back when families lived in houses crudely built out in the middle of nowhere. Those old shows didn't spend money on fancy sets and costumes. Women wore dresses that looked handmade. Cowboys were rugged and sometimes ragged. The stories were simple. They had to be. They only lasted 30 minutes. After watching my old friend Paladin, James Arness came onto the screen. I watched a simple story of a father trying to make a home for his daughter. I was reminded of why I loved the cowboy shows. James Arness passed away in June this year. I imagine he may be one of the last few 'old' cowboys still around. Once Warner Brothers started producing Maverick and the other classic cowboys, the old simplicity of those black and white shows, the starkness of a set, the story that took the screen was gone to personalities who changed the cowboy image. I will visit the cowboys again. The little girl who sat in front of the Raytheon television can still go back and watch her favorite shows. Those cowboys may have ridden off into the sunset, but they never truly went away. When did I know I was a storyteller? Why do I care about the past? Why do I love antiques? What is it that draws me to the 'old'? Why do I hold on to it all? A family comes from the same roots, but they are all different. One might be a singer and one creative with needle and yarn. One might be an artist and another a writer. One might be a jock and another a ballet dancer. We are all different. No one can plant those differences in us. Against the wall sits a pile of books. Old photo albums of people I don't know. Notebooks full of daily writings. Tintypes, black and whites, old wrinkled pictures of other times. Why do I care? In all honesty, I have no idea, but I could no more turn off this desire to embrace the past as I could stop eating. As I have said before, I know that I am the storyteller. I know that this desire to keep the memories is a gift....a treasured gift. As far back as I can remember, I sat in a variety of homes listening to adult conversation, reminiscings of the past and stories of the present. Didn't know it at the time, but those times were history. I care. That's all there is to it. I write a new story now. I sit in my living room with you passing on history waiting for a new storyteller, someone who feels that desire to know just as I do.When you find this history, think of us sitting in the living room sharing another time, then tell the story well. Time and time again I sat on the hill. Seasons changed. I changed. Still I sat on the hill. In the winter, I sat on the grey sled waiting to go down the hill. In the summer, I sat on the grass watching the clouds and white streaks trailing a dot in the sky. When Brenda came over, we sat on the hill. When my children were small, we sat on the hill. The house back the lane sat on the hill. The crops changed in the field below the hill. Dad uncovered a nest of bunnies in that field. Often he found an arrowhead waiting for him in the field. The red winged black bird built her nest in that field, and I watched Dad work in the field. The hill was where Mom hung the wash and the chicken for Sunday dinner. The clothesline was where the clothes flapped in the wind bringing the scent of soap with it. We sat on the hill time and time again. There wasn't a neighbor kid who hadn't rolled down that hill. The momentum of a child running in tag often took them down the hill and into the field. I rolled down the hill with my small granddaughter the last time I was there. I was too old to roll down that hill, but my granddaughter laughed, and I had one last memory. I still sit on that hill overlooking the creek bottom. I feel the breeze and think of my mother. I watch for the ground hog who irritates my dad. I sit outside the big white house back the lane and am thankful for what I had then that embraces me now. There was a time we sat on the hill. It hung on the wall in the kitchen. Most people wouldn't have noticed it. I remember it well. Maybe it was because I was a little kid. The weather witch hung on the wall. There is sat right in front of me. A memory. A forgotten remnant. A piece of the house back the lane. My sister had found it at the auction in Shipshewana. She didn't remember the one on the farm. Maybe it came reside there after she was off to college. 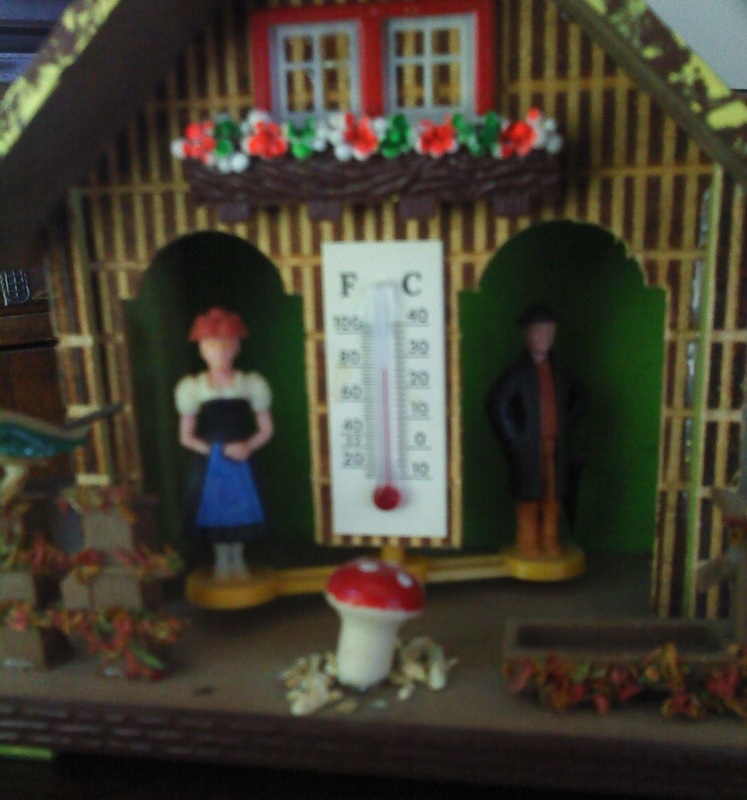 The Weather Witch consists of a little wooden house rather like the cuckoo clock fronted with a Scandinavian chalet. A small thermometer sits on the front between two open doors. A woman stands on a small piece of wood in one door. A man in black stands on the other end. When the weather is good, the woman pops out of the house. If bad weather is in the air, the man in black appears. 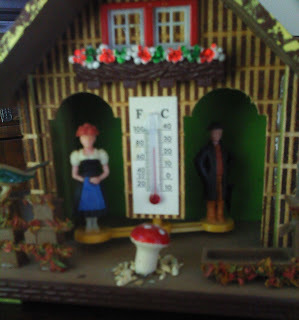 Our weather witch on the farm had two small children in one door and a witch in the other. We found a Weather Witch when I was visiting in July. Like ours on the farm, it was made in West Germany by a company named BAMBI. Gabby is our resident Weather Witch watcher reminding me of myself so many years ago. A piece of my past came home with me all new to another generation. We can hardly wait for bad weather so we can see the man in black. Windows. They let in light. They allow mom's to check on her kids. Unaware birds can be observed through them. They enhance the ambiance of church service. Window go hand in hand with memories. Today I was going through my pictures loading them onto CD's. I noticed how many pictures of windows were amongst the photos. With each window came a memory. Last year for Christmas I decided to take pictures of James and Lisa's new 'old ' house. Windows on an old house giving new views. On the trip back to Ohio and Indiana in July, old windows brought back memories from the past. A new appreciation for what was part of my past. The Old Order Church with it's heavy shuttered windows. Windows shutting out a more modern world that surrounded the old church. The stained glass windows in Memorial Hall. I was there the day they began tearing down my old high school. I had one last glance at the windows on the room where my writing began. A room with windows on my future. 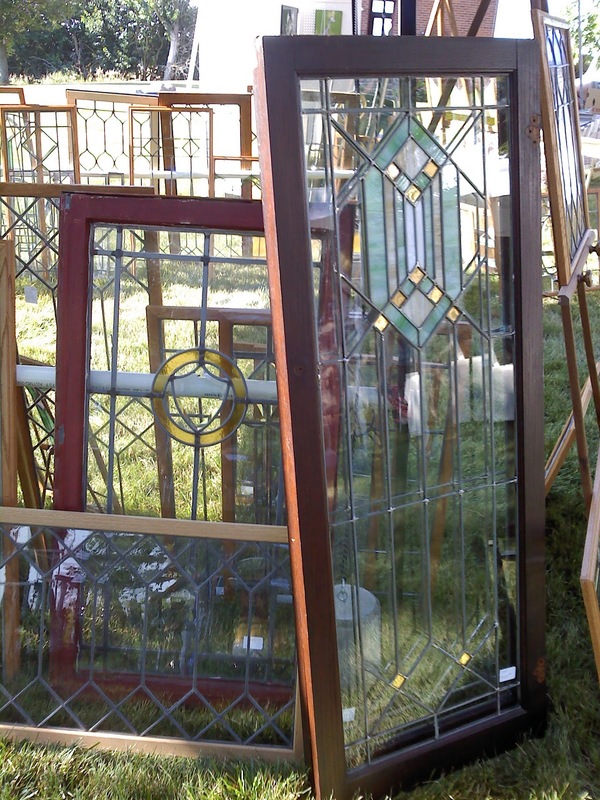 When my grandfather's house was torn down, my aunt and uncle recovered some of the panes from the French doors that opened from the dining room into the living room. Doors that were often closed when my grandmother was ill. Doors that were always open when the family gathered for Christmas. 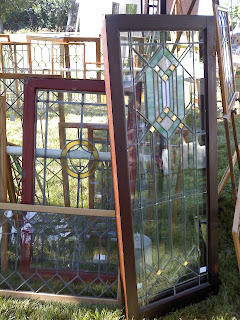 Panes of glass that saw a family grow. Saw my father go from boy to man. Barn windows. The historic barn in Indiana. A family working to save the round barn. My grandfather's barn, a historic barn as well. My father's barn, with a 'first of it's kind' roof. Barns. The smell, the history, the windows looking out over the rich soil of the fields. The window sills were wide. A great place to play with small toys, a place to read a book, a place to watch for an expected guest. The wind and rain pelted the windows. Snow and frost clung to them. And, in the summer, a warm summer breeze teased the curtains. Windows. Those overlooking Neff Road. Coah cooo cooo coo, Coah cooo cooo coo. Dawn came to the song of the mourning dove. Coah cooo cooo coo. Morning on the farm began with music. Soon after the sun rose, the rest of nature joined in the song. The cicada, the red wing black bird, a melodic chorus of sound welcomed the day. The day began with music in the field. 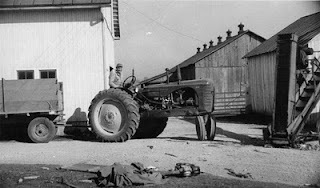 ".......being in a field driving a tractor was a time I enjoyed; I could sing at the top of my voice with no one listening and enjoy nature and my surrounds. It was a peaceful time on the farm." My sister was telling of a conversation she had with a friend. Yes, it was a peaceful time. We were a singing family. We had no choice. It was handed down from generations before. Singing was as natural as to all of us as opening our eyes in the morning. I ran across the field hoping to catch up with Dad on the tractor. Over the sound of the tractor, I could hear Daddy singing. If he wasn't singing, he was whistling. There was music in the field. After he stopped and pulled his little girl up onto the Massey Ferguson, he sometimes continued to sing. His daughter joined in. Music filled the field. Walking back to the house, more times than not, Mom would be sitting at the piano singing. Her music filled the house and the barnyard. Time at her piano was the best of times for Mom. If Dad was on his way in, he often joined in her song. She would come into the kitchen where he captured her in his arms and kissed her. There was music in the field. The music that once filled the air back the lane on Neff Road is different now. Nature still greets the day, but the family who once sang there is gone. The Native Americans who lived on that land left their stones. The Loxleys left their song. 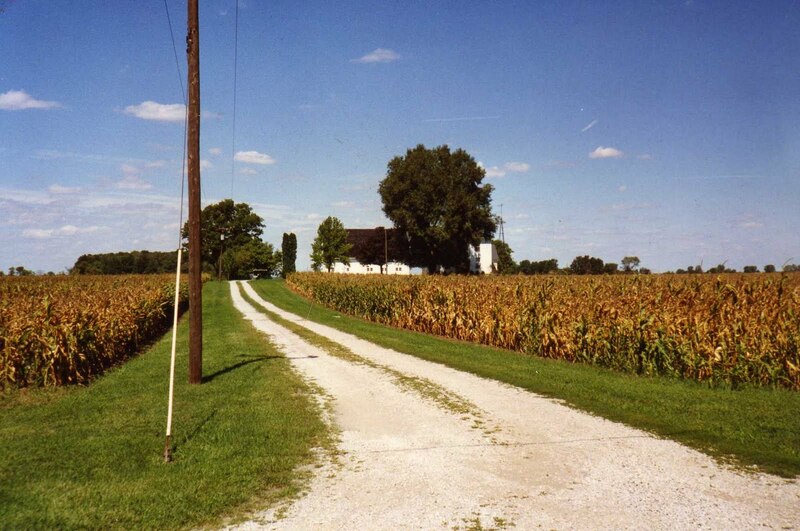 Music is still echoes in the fields on Neff Road. And, morning comes with the Coah, cooo cooo coo of the mourning dove. Pumpkins sat on the stoop. "Isn't it early for pumpkins?" Gabby asked. The weather is still summerlike regardless of fall looming ahead. I thought of the Pumpkin Patches that will soon be springing up. Wagons will be stacked full of pumpkins and squash. The smell of the field and the farm will permeate the air. The wagon. I loved to ride on the wagon. When I was a child, safety wasn't yet a concern. Dad pulled the big flat-bed wagon behind the tractor, and we bounced on the back of the wagon. When Dad put the sides on the wagon, grain and corn filled the bin. When Dad combined, we sat on the grain while it rained down on us. We played on the wagon as it sat in the barnyard or in the barn. It became a stage or a playhouse. Fall brings back the best memories of hayrides when Dad pulled a load of kids in the wagon heading to Camp Sugar Grove and roasted hot dogs. Straw bales sat around the side of the wagon where teenagers nestled for warmth against the first bite of Fall. I will walk around the wagons filled with pumpkins or pass by the piles of pumpkins at the store displayed on bales of straw, surrounded by cornstalks and remember a wagon on the farm back the lane on Neff Road. I saw in the paper that Bonfiglio's had sale. Another piece of Greenville history gone. Box stores taking the place of locally-owned stores. The personal touch disappearing with each store that closes. We walked into the Palace. Mom knew the clerk. We had been there many times before. It was the same when we walked into the grocery or the meat market. "Hi, Ruth," the greetings came. "How's the family?" I can walk into a local store here and be recognized by the clerks. We nod and say "hello". Yet it's not the same. "How is Ruth feeling today?" the pharmacist asked when Dad picked up a prescription. Dad stood and chatted awhile about Mom and the weather. It was the same in later years when one of the Loxley daughters stopped to pick up meds. I was always surprised when asked how long I was going to be home. Yes, we were all one big family. One stop shopping in the big stores leaves me a bit empty. As I go through the line, I look at the clerk and smile, asking how her day is going. She give me the courtesy smile and asks me the same. Her heart isn't really in it. Perhaps her paycheck depends on it. I'm missing the stores in Arcanum and Greenville. We have lost something with the passing of the Mom and Pop stores. We have lost a neighborly feeling that comes when walking into a store where you are remembered. We have lost something when the box store is so large that we fail to bump into someone we know. We have lost that connection. My daughter works in a pharmacy. I am always greeted by those who know me. We laugh and chat. I sense a bit of what was lost long ago. A pharmacy closes and dissolves into history. There are those of us who remember. His name nickname was Tink. Today I learned that he is gone, so for the love of Tink, I write this blog. Mom Johnson had suddenly passed away from a heart attack. She was the first to go that the small girl I was would remember. 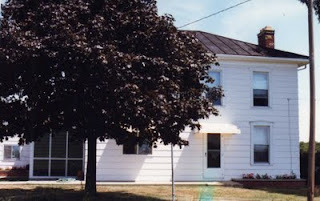 My parents and uncle lived close by grandfather, Pop Johnson. Aunt Bess, the other daughter, lived in Michigan. Hastily, they drove to Ohio. It was evening when they arrived. My cousin, Tink, was along with them. Two years older than my nine years, we were the youngest grandchildren. It was a late night when they hastily sent the two of us to sleep on the guest bed while the children came to grips with the passing of their mother. I was scared. My cousin put his arms around me, comforting his little cousin until she rested. Many years later, my Uncle, his grandfather would pass. We sat together once more in the funeral home. On the way to the cemetery, he handed me his handkerchief. Again, he understood, he remembered. We were the youngest of the grandchildren, and no one talked to us about death and our feelings. But we had one another. Over the years, Tink and I would cross paths again. Each time that bond that started when we were small came to visit. He was one of the fondest memories of my childhood. 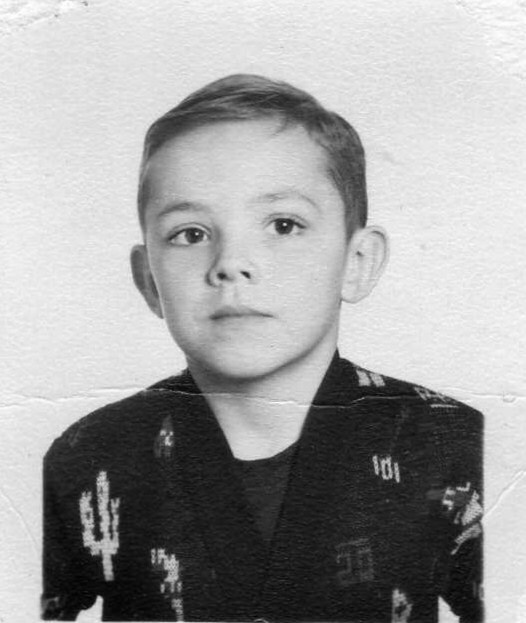 Raised in a fishing lodge with a parent who was deaf, he was always fascinating and idolized by a younger cousin. I learned a couple of weeks ago of Tink's illness. Little did I know that I would lose him so soon. His passing falls just a few days before that anniversary date of my father's death and that of our shared uncle. A silent bond is broken but the heart remembers. Once more I morn a loss, and his past comfort and love give me peace. The trailer for the show came onto the screen. A woman dressed in shorts with a crop top, wearing pigtails said, "I am a farm girl." Yesterday I wrote my Grandparent's Voice Blog about the new equality. How we have come a long way from the men going to one room to talk while the women sat together in another. Now we go to gatherings where there is no division. Conversations involve everyone. Men and women join into conversations together. One more step forward. Then I looked up at the TV screen when I heard the words accompanying the above. One more step back. I dislike this image that promotes a vision of farmers similar to those depicted on Hee Haw. A piece of straw in the teeth, bibbed overalls, pig tails and barefoot. Sure some of those things are what we had on the farm...just like other places...even cities. I never once saw my mother in any of the above. Nor my father. My cousin wore bibs, and they worked for him. I even wore some in the 60's, and I think I got them at Rike's. Well, I'm here to tell you that I protest! I've been reading my cousin's letters from the Philippines back in 1951. He talked about the science of farming, intricate plans that went into planning the yearly crops. He investigated new products and farming techniques. He took his career as a farmer seriously. My father investigated ways to save the soil, to produce better crops. 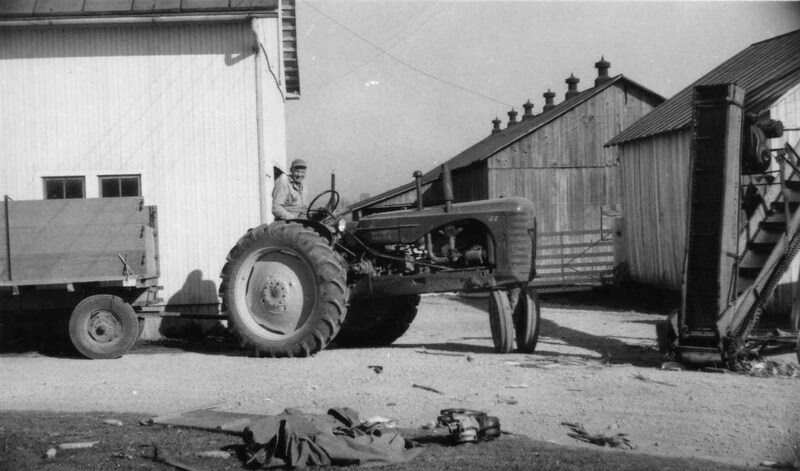 The farmers of Darke County are men to admire. My mother, like the other women I know, worked harder than any other women I have known since. They are proud women, beautiful women. They spend their time doing chores, working in their yards, cooking for their hard working men. They can drive a tractor and a truck. We weren't rich, but our parents worked from dawn until bedtime watching over farm and family. We were clean and well-fed. We were intelligent. We might have had an outhouse early on, but then most everyone else had gone through the same. We might have had a gravel lane, but then it held the tires on ice and allowed the water to nourish the earth. Our clothes may have often been dirty, but we worked hard to get them that way. Put any of us in a town or city, and we look the same. Farming provides for a county, sometimes several. Farming is the most honorable of professions. It takes professionals to nourish the earth and to reap the bounty. It takes professionals to make a living from dirt and seed. It takes professionals to live on a dime until the next crop comes in. It takes professionals to can their own food, to raise their own groceries, to make a proud home, to raise successful children. It is time for recognition of those men and women who work the land so others can survive. Those men and women who know the worth of the soil and of the house residing on that precious land. I, Pamela Loxley Drake, am a farm girl and darn proud of it! How is it that you can live in a house your entire life and not take time to ask about it? Well, that's what has happened to me. I want to know the history of the house. I want to know what it was like when Mom and Dad moved in. I want to know why we had antique locks on our bedroom door. And, did we have the locks on all of the doors? I don't remember. I took a picture of the door knob when I was in Ohio visiting the house back the lane. I wanted a picture of the old porcelain knob. Last night I was lying in bed thinking, which is not uncommon. For some reason my mind focused in on the old door knob. I remembered that the door knob was placed in an old lock mechanism. I never saw any keys for the locks. I never knew anyone to lock the doors. But why did the doors have locks? Hm. I'm sure my sisters will hold conversation regarding the old locks. In fact, they might have some light to shed on the matter. I don't remember my grandparents having such locks on their inside doors. I don't remember my friends having such locks. It is rather amazing the things that randomly pop into your mind while you look at the back of your eyelids. Darn. Why didn't I ask the questions long ago? The cow stable and sheep pens were cleaned before the earth decided to wear her winter cloak. The chicken house had fall cleaning, too. Fresh bedding was laid as a new season approached. Dad stored equipment and closed the barn doors in the hay mow. Winter wheat lay waiting beneath the rich soil as the other fields rested after their crops were stored. Tobacco hung in the shed slowly curing. Fall had come to the farm. Dad and I often walked to Grandad's woods in the fall. Just as he had shown me the spring time buds, he wanted to show me the signs of fall. Leaves fell silently, crunching beneath our feet. Squirrels and chipmunks scamper after nuts. Birds search for fallen seeds. The cows start to get a bit shaggier. The sheep wear new winter coats. The calves and lambs have grown no longer needing their mothers' care. A new season comes, and nature knows. Insects lie dormant waiting for spring time awakening. A season of preparation for the season of silence. Crispness in the air trumpets that frost is on the way. Fall came to the farm. A woman in Oregon remembers. I hope you will read www.agrandparentsvoice.com today. For my parents.....for your parents. I walked across the driveway at my son's home. The grey gravel crunched beneath my feet. I looked down at the gravel. It wasn't the same. No, the gravel in the lane was different. I never thought much about it when I was a kid. We lived back a lane. Not everyone lived back lanes. Not everyone knew what it was like to take that hike from house to road. Not everyone knew that we looked over the fields as we walked down the lane. We looked at Stager's house. We looked at Lavy's. We looked down at the bridge. If someone was out, we yelled across the fields and waved. No, not everyone lived back a lane. That lane was so much a part of our history that we just took it for granted. Yet almost all of my childhood memories include the lane. When visitors came, we heard the car on the lane. The sound of gravel sent the house into action. It was the same with fuel delivery trucks, tractors, horses and bicycles. The gravel crunched, and the call went, "They're here!" I know Mom and Dad listened for that crunching gravel when their daughters were due back for a visit. No longer had we turned into the lane when one of them would appear, usually both. In turn, we listened for the next arriving sibling. We had a game of sorts. When we heard an unexpected vehicle approaching, Mom usually said, "Well, who do imagine that is?" In turn, we would try to imagine and come up with the correct answer. Usually, were we correct in guessing one of the usual visitors Gene, Betty or Junior. The lane was a track that brought visitors on foot. Neighbor visiting neighbor. Child looking for a playmate. The gravel crunched near the front door, and one of us would be there to answer. We lived back a lane. We walked down it to go to school. We walked down it to get the mail. We walked down it to go to the bridge. We walked down it to wade in it's puddles. We walked down it to go to the neighbors. We drove down it when we went off to college. We drove down it one last time. The stack of clothing sat on the bed. A couple of dresses and a green corduroy skating outfit complete with skirt and vest lined with yellow satin. I remember each piece. I remember them well because they belonged to my cousin, Karen. Karen is three years older than me. She watched over Kenton and I when we played and loved to dress us up as Robin Hood and Maid Marion. I idolized her and, to tell the truth, was envious of her beautiful clothes. The small stack of clothing sat on the bed.....waiting to go home with me. Sydney is twelve and changing from girl to woman. My daughter-in-law handed a shopping bag of used clothing to me. "I don't know if she will wear them or not." Well, I knew she would adore them. This morning I gave the clothes to Syd. Immediately she grabbed the old, worn out leg warmers. "I love them!" she exclaimed. "You realize they have holes in them, don't you?" I knew the feeling. Leggings worn out by her dancer aunt. Leggings that would be worn with great affection for the previous owner. Hand-me-downs aren't a symbol of have nots. Sometimes they are as priceless as a shopping spree to Nordstom's. "I'm going to do a style show," Sydney said. I sat remembering the first time I twirled in a green skirt with yellow, satin lining.